Discount Magical Spring : get 3€ off your Adult ticket price ! 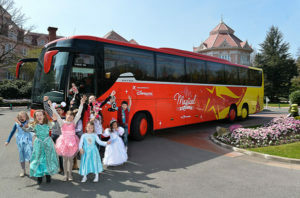 Exclusive Web Offer : Adult ticket price at 20€* (instead of 23€) on your transfers Paris Airports (CDG / ORY) – Disneyland® Paris. * Valid for transfers made between 7 April and 12 May 2019 included. Not combinable with other promotions. 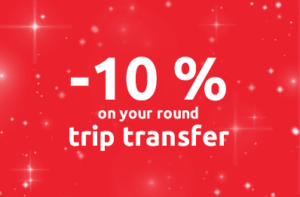 Get 10% discount on your round-trip transfer. Valid for purchases until December 31, 2018. Offer not combinable with other promotions. 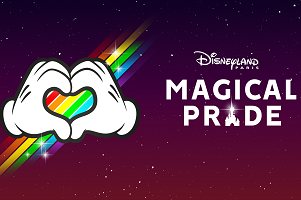 After the dazzling Magical Pride at the Walt Disney Studios® Park on 1 June, take our shuttles to go back to Paris (stops Bercy, Châtelet and Concorde), at the single price of €16/passenger. Departure on 2 June between 2:15 am and 2:30 am. 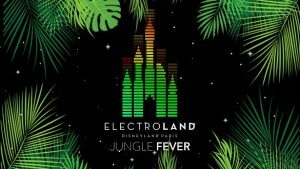 For its 3rd edition at the Walt Disney Studios® Park, come and experience one of the Electroland evenings (5, 6 and 7 July 2019) and get back to Paris the next morning with our special Shuttle Service. Benefit from our flat rate of 90 € for a group trip from 5 to 8 people! Offer not combinable with other promotions / If the composition of the shopping cart allows access to rates lower than 90€, the more advantageous rate for the customer will be applied. Valid for purchases until December 31, 2019.